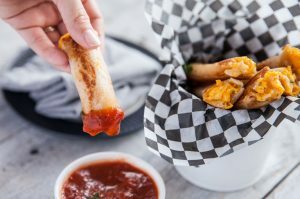 Nothing says party time like zippy buffalo sauce and the tang of blue cheese (plant-based, of course). 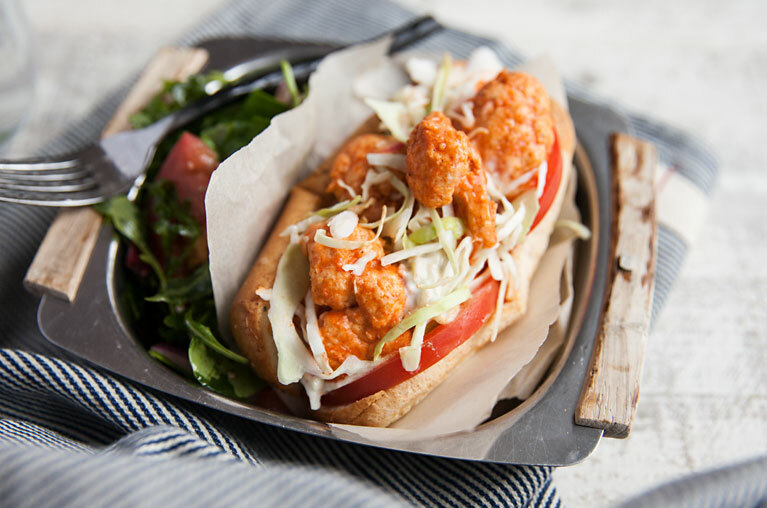 This snackable sandwich calls for thinly sliced cabbage topped with homemade blue cheese sauce and crispy cauliflower doused in hot sauce on top of our smooth Millet & Chia Hot Dog Buns. A bit of battered tempeh and a generous helping of vegan tartar sauce on top of our Millet & Chia Buns will make everyone feel like they hit the drive-thru jackpot without leaving your sofa. 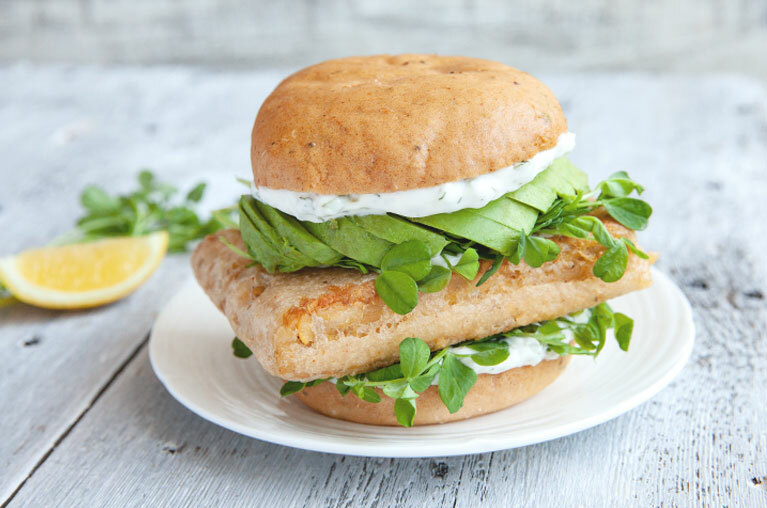 Avocado and crunchy pea shoots balance out the fry-factor with a touch of freshness. 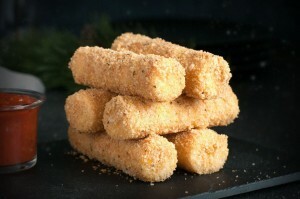 Pull a smart and healthy switcheroo by making these “cheese” sticks that are really hearts of palm coated in our delicious homemade breadcrumbs. Serve with a side of classic marinara sauce. 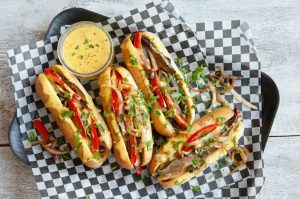 Tender mushrooms, peppers, and onions do a savory plant-based stand-in for the classic Philly Cheese Steak. Guests will love it with some homemade cheese sauce (hello, nutritional yeast!) and our Millet & Chia Hot Dog Buns. It doesn’t get any easier than rolling up a piece of our super popular Millet & Chia bread with some plant-based cheese, giving it a little grill or press to get the cheese melting, and serving with a side of your favourite dipping sauce (tomato and ranch are great options). 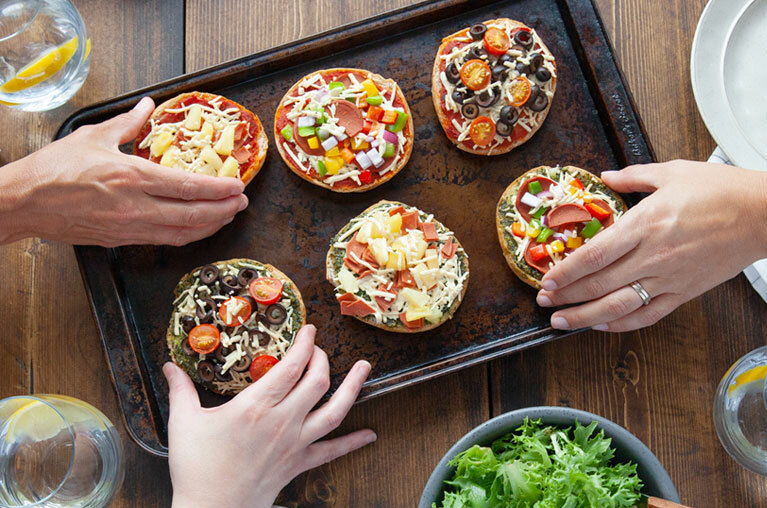 Let everyone make their favourite kind of pizza by making a pizza bar in your kitchen with base sauces (pesto, tomato, buffalo) and vegan pepperoni, fresh peppers, olives, tomatoes, pineapple, and a blend of your favourite plant-based cheese. Looking for more party-style eats? 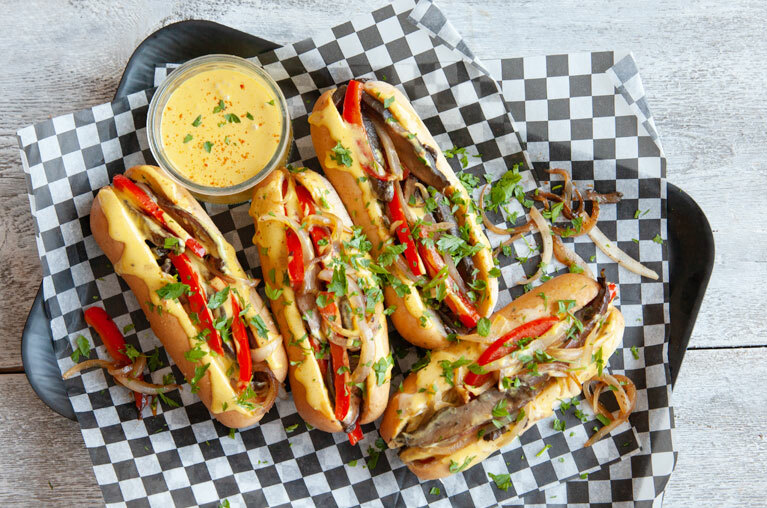 Try our veggie dog recipe round-up. Need a loaf? Find a store that carries Little Northern Bakehouse near you.